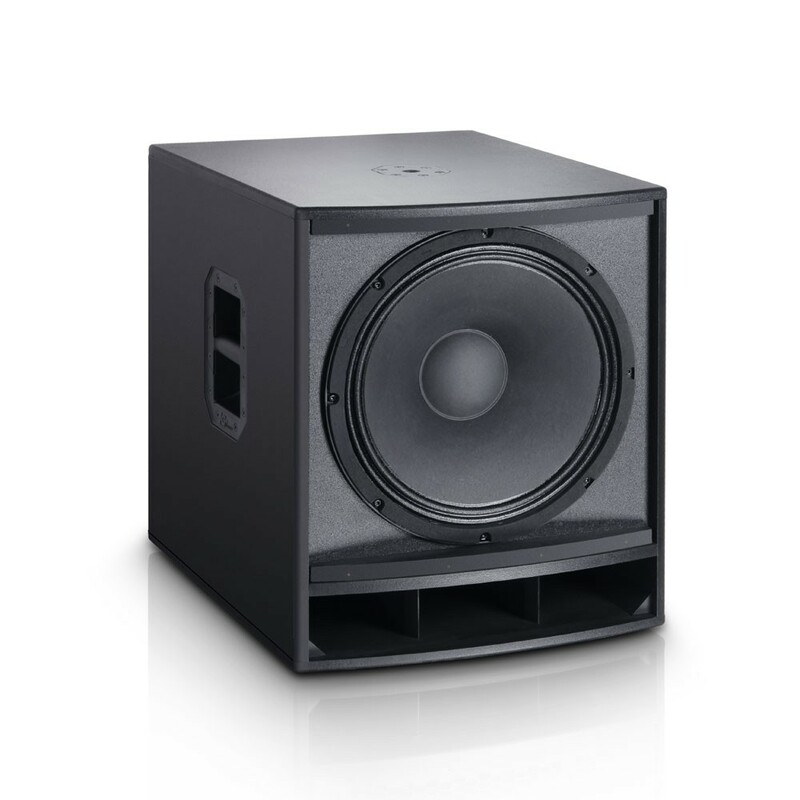 Providing outstanding value, the GT SUB 15 A active subwoofers delivers a punchy bottom end with excellent definition and transient response. 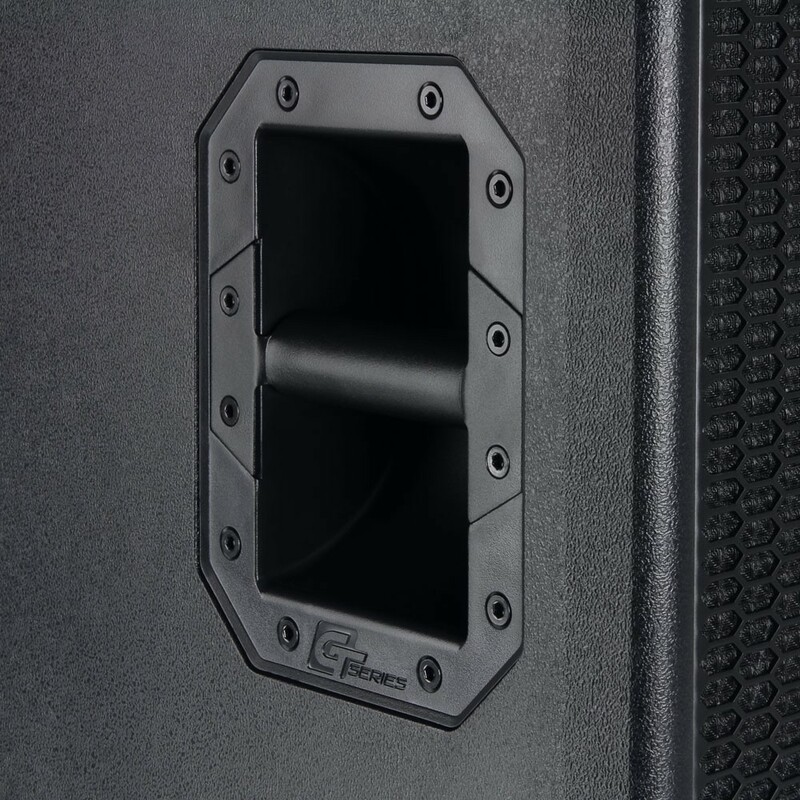 The rugged bass reflex enclosure is made from MDF featuring a custom 15" low frequency transducer, heavy duty steel handles, a sturdy honeycomb pattern steel grille and threaded M20 pole insert. 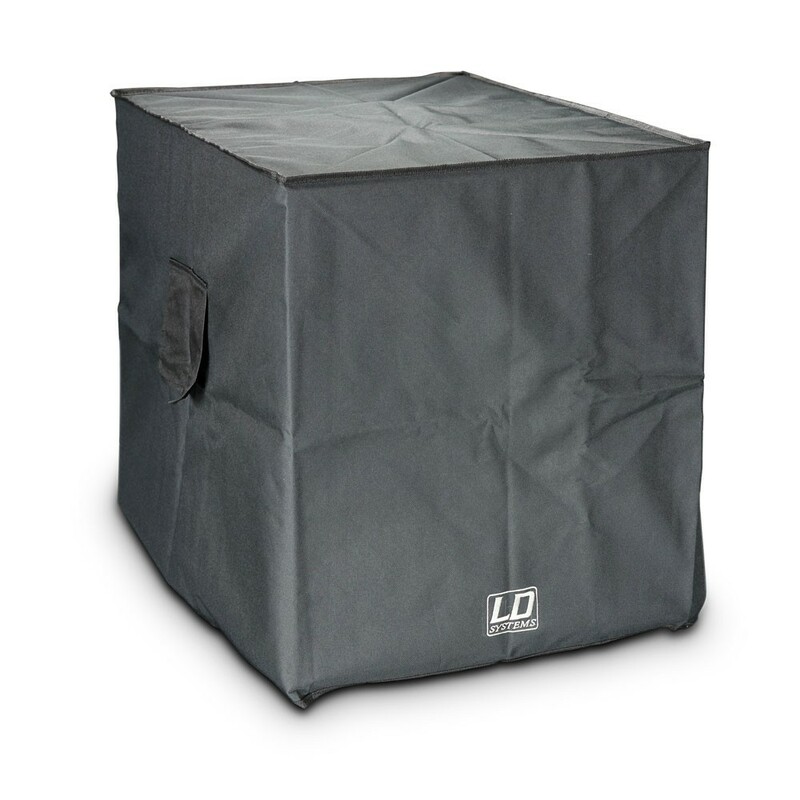 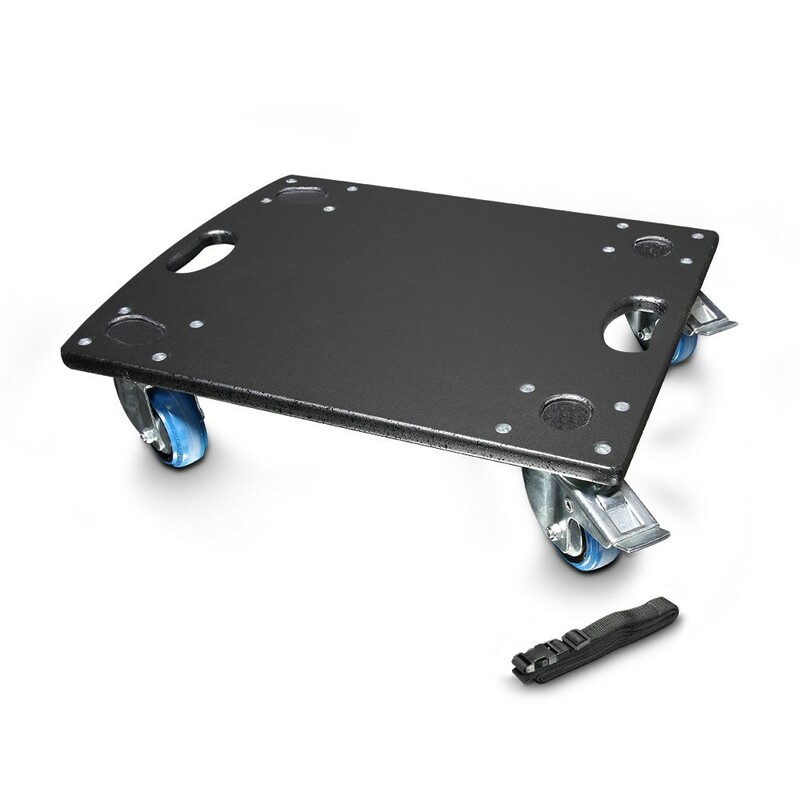 It is covered in hard wearing textured Dura-Vinyl for protection and long-lasting appearance. 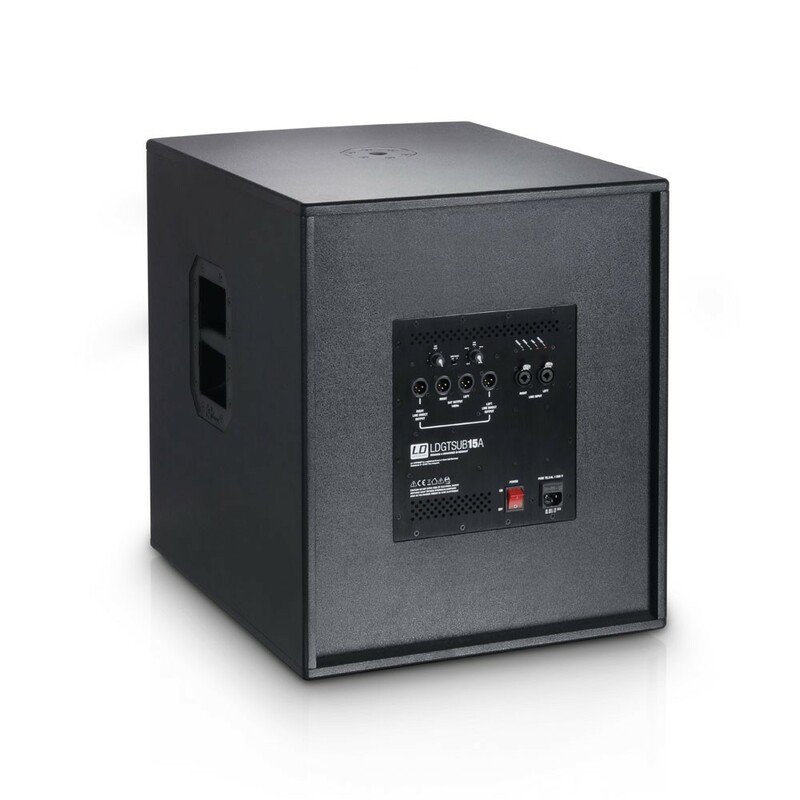 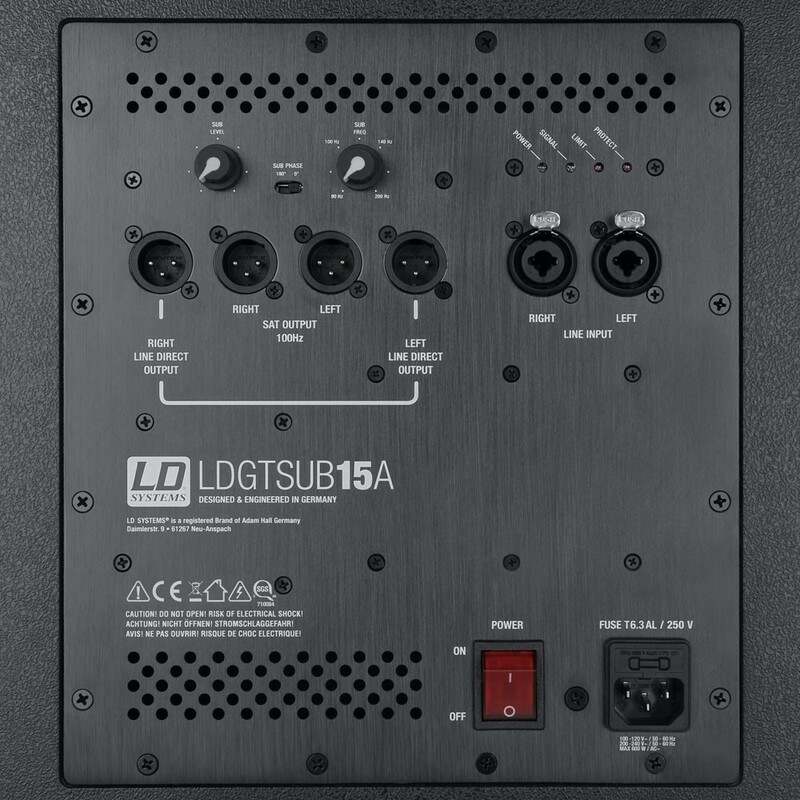 The GT SUB 15 A is powered by a built-in Class D amplifier with 1600 watts peak output and highly efficient SMPS technology plus overcurrent and overvoltage protection. 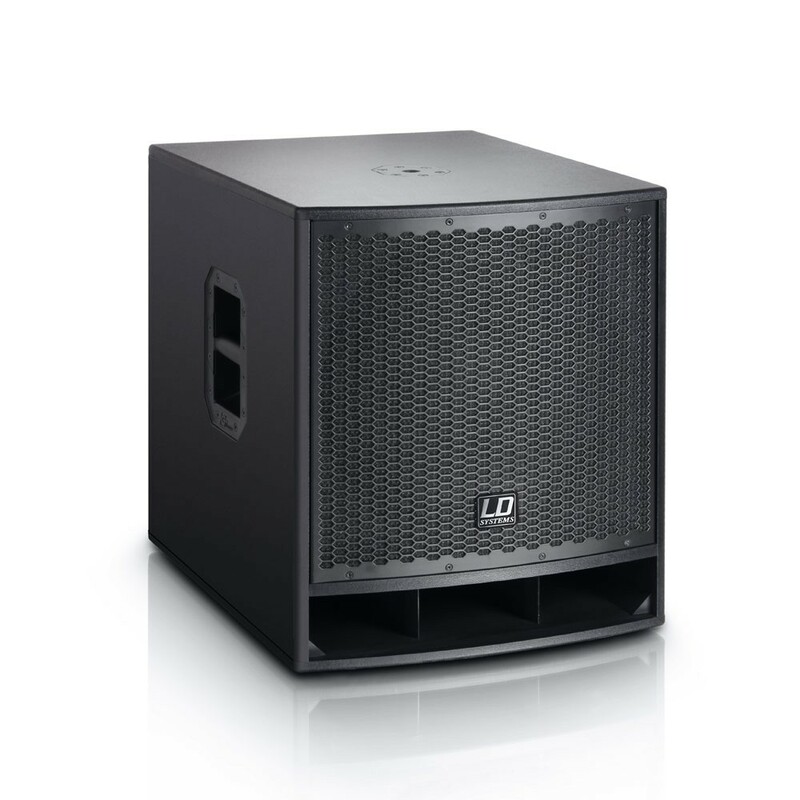 Delivering a 35 Hz – 200 Hz frequency response and 126 dB SPL, the subwoofer is equipped with XLR and 6.3 mm line inputs, XLR line output, an adjustable low-pass filter and filtered 100 Hz satellite output.